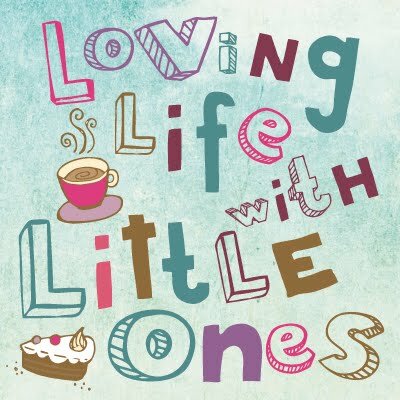 Loving Life with Little Ones: Is there a doctor in the house? One of the games that is being played constantly in our house at the moment is doctors and nurses, the girls take it in turns to be the doctor or the patient and they play the game really nicely. Little 1 uses her emerging writing skills to make out little prescriptions and describes some most terrible illnesses! The doctors are very good however, a few doses of medicine and an injection and usually you are miraculously cured! This Saturday when Little 1 had got home from hockey the girls started playing and soon a scuffle ensued as there was only one big blanket downstairs and the rest were doll sized ones, they both wanted to be ill in bed. I grabbed the big sofa cushions and their duvets and pillows from their beds and made them up a big bed in the middle of the floor, they loved it and I must say when I took my turn as patient it was really comfy. The Little ones spent ages playing in their beds that afternoon and the duvets didn't go back upstairs until bedtime, it was lovely to watch them playing so well together, Little 2 does miss her sister now that she is at school, she often tells me so. Little 1 played at being the chief doctor and checked her sister over very thoroughly, she used all her available tools and ended up diagnosing her with Chicken Pox. They had a lovely afternoon playing together, the game went on for ages, I love the fact that the girls are so close. What lovely play together. I love watching my kids play drs and nurses, it always makes me smile the way they use their pretend instruments, especially as I used to be a nurse! Why won't she just go to sleep? At last some me-time, what did I do?